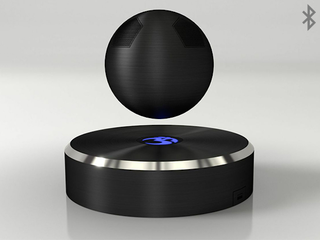 The World's First Levitating Bluetooth Speaker. That's one heck of a title, and it belongs to the OM/ONE, which not only floats, but sounds great as well. To celebrate Cyber Week, we're giving Gizmodo readers 13% off pre-orders with the coupon code "onefive". That's the lowest price online. Free shipping to the Continental US is included. The OM/ONE comes with a one-year full replacement warranty. Check out the link to grab the deal — remember, this price is for Cyber Week only, and it's the lowest price online – exclusive to Gizmodo readers.